Shortly before midnight on a warm night in May 1996, officer George “Gregg” Pease pulled his Las Vegas police cruiser into the desert behind a storage yard off Dean Martin Drive. In his car was a notebook with the name Henry Rowe scrawled inside. Both men had seen their share of recent troubles. Rowe, 50, was living in a wash behind the building. Pease, 31, dogged by controversy in his eight years with the Metro­politan Police Department, had killed two men in 21 months and had been disciplined for seeing a prostitute while off-duty. Banished to the graveyard shift in the Southwest Area Command, Pease was hunting for Rowe. 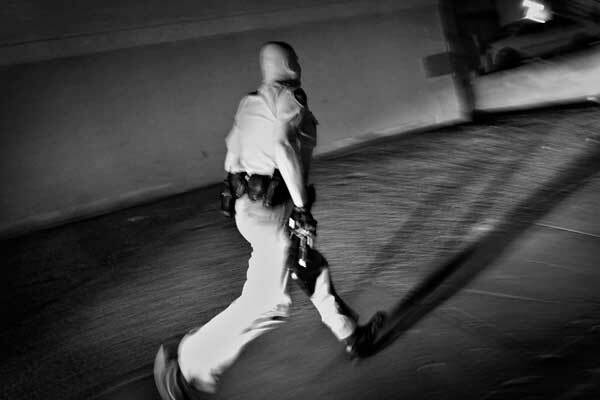 He got out of his patrol car, stepped into the pitch-black night and walked into the wash, alone. Minutes later, Rowe was dead, shot once in the head, his throat slashed ear to ear. Pease’s third officer-involved shooting echoed the others: Peculiar circumstances. An account that didn’t quite make sense. A killing with no witnesses. Though widely criticized within the department’s ranks, the killing of Henry Rowe didn’t amount to much. A Clark County coroner’s inquest jury would rule it justified, and the Metropolitan Police Department’s internal Use of Force Review Board would find nothing to fault. Pease took a few weeks of paid time off and returned to work with a gun and a badge. The same script has been followed 114 times after fatal shootings, some clear-cut and some not, at the hands of Las Vegas cops since 1990. This year Las Vegas police have set a record: 11 fatal shootings, with a month left to go. The system never questioned whether Henry Rowe’s death could have been prevented. It never adequately questioned whether any of them could have been prevented. 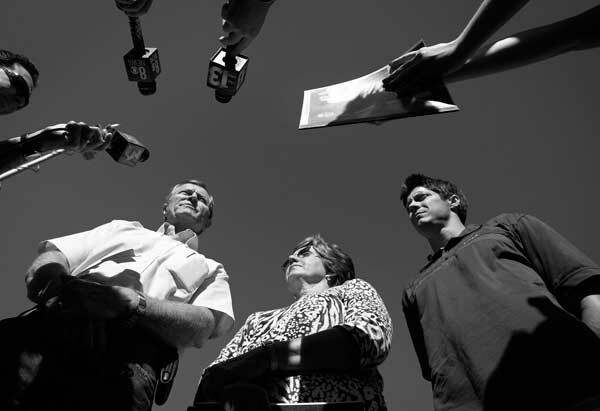 In the wake of two controversial officer-involved shooting deaths in the summer of 2010, the Review-Journal set out to analyze two decades of shootings by officers from the Las Vegas Valley’s five major law enforcement agencies: the Las Vegas, Henderson and North Las Vegas police departments, the Nevada Highway Patrol and Clark County School District police. The newspaper obtained police reports, coroner’s inquest transcripts, civil and criminal court files and other records. It interviewed police officers, relatives of those who have died and experts in police training and administration. Each police shooting in the region — 378 since Jan. 1, 1990; 142 resulting in death, 114 resulting in known wounds — is reflected in a searchable online database, with original documents and, in some cases, videotaped re-enactments by police, linked in a permanent public archive. While information about all five police agencies was analyzed, the focus of the Review-Journal investigation was the Metropolitan Police Department, Nevada’s largest law enforcement agency with 2,700 officers policing 1.3 million people. Las Vegas police were involved in 310 shootings in the more than 20 years surveyed. Until now, debate has focused on individual incidents rather than systemic issues that help determine when, where, how and why shootings happen. What the newspaper found was an insular department that is slow to weed out problem cops and is slower still to adopt policies and procedures that protect both its own officers and the citizens they serve. It is an agency that celebrates a hard-charging police culture while often failing to learn from its mistakes. Nowhere is the problem more obvious than in the workings of the department’s Use of Force Review Board, a panel of officers and civilians that has cleared more than 97 percent of the more than 500 cases of shootings and other officer use of force incidents it has reviewed since 1991. Even officers such as Pease — who show patterns of poor judgment and multiple lapses in police procedure with fatal consequences — rarely face discipline when they shoot and kill. Rod Jett was a Las Vegas police officer for 32 years until he retired in 2010 as undersheriff, the department’s second-in-command. While proud of his fellow officers, he said he left in part out of frustration over the department’s unwillingness to face up to its shortcomings. Shootings in Clark County vary greatly from year to year but have generally increased over time, from just two in 1990 to a record 31 last year, 25 of them involving Las Vegas police officers. While it’s tempting to blame the rising numbers on the region’s rapid growth, there’s no clear relationship between population and shootings. Nor is there a clear relationship with violent crime, which has fallen each year since 2008 even as shootings have increased. In an average year since 2000, Las Vegas police fire their weapons 17 times. So far this year it’s been 16. Is that a lot for a department and a community this size? Comparison statistics on officer-involved shootings are hard to find. No one monitors them on a national basis, and many police departments don’t compile them about their own officers. To determine if Las Vegas police use their guns more than officers in other cities, the Review-Journal canvassed 24 major, urban police agencies. Many said they don’t keep that data or declined to say anything at all, but 16 departments provided statistics for a decade, 2001 through 2010. Among those cities, the Metropolitan Police Department ranked third, trailing Houston and Chicago, in officer-involved shootings per capita. In shootings per reported violent crime, the agency also ranked third, behind Denver and Seattle. In average number of shootings per year, Las Vegas police ranked fifth. A comparison to shootings in the nation’s two biggest cities in 2010 alone is also illustrative. Last year, Las Vegas police shot at people 25 times, killing eight. The New York City Police Department, with 13 times more officers covering a population six times larger, shot at people 34 times, killing eight. The Los Angeles Police Department, with more than three times as many officers covering more than double the population served by Las Vegas police, shot at people 32 times. LAPD fatality numbers were not available. Las Vegas police also stand out in comparison to other local police departments. Thirteen percent of current Las Vegas officers have been involved in a shooting since 1990, compared to about 8.5 percent each for Henderson and North Las Vegas police. That measure may understate the numbers, however, because it counts only officers still on the force, not cops such as Pease who have moved on. Officer-involved shootings are an inevitable byproduct of law enforcement, and police are given wide latitude in deciding when and how to use deadly force to protect their lives or the lives of others. Most of the shootings analyzed by the Review-Journal did involve a clear, immediate threat to life. In many, officers came under fire or used weapons after someone pointed a gun at them with clear intent to use it. But not all were clear-cut. Some incidents grew from poor choices by the officer, while others might have been avoided if Metropolitan Police policies and procedures reflected those shown in other cities to have reduced shootings and officer injuries without reducing public safety. Law enforcement experts say even communities that support their local police can lose confidence in a department seen as too quick to shoot. That became apparent in Las Vegas last year. Las Vegas is a transient town accustomed to hard luck stories and often apathetic when it comes to civic affairs, but many expressed outrage after Erik Scott, a former Army officer and medical device salesman, was shot and killed by three Las Vegas police officers outside a store in Summerlin. That outrage led to an unusual public debate of the issue and a sweeping overhaul of the Clark County coroner’s inquest system. Community reaction has since been muted, but the fatal shooting in July of Rafael “Ralfy” Olivas, a distraught 23-year-old with a knife, after his mother called police seeking help for the man, briefly reinvigorated debate. Some in Nevada law enforcement fear the department’s controversial shootings have damaged its reputation and have strained community relations. Cited most often is the 2010 death of Trevon Cole, 21, a small-time marijuana dealer who was unarmed and crouching in front of a toilet when he was shot in the head during a botched raid on his apartment a month before the Erik Scott shooting. “The police have to understand that they can’t operate outside what is the wishes of the community,” said Bill Young, a longtime Las Vegas cop and Clark County sheriff from 2003 to 2007. “And most people in this community were very unaccepting of that (Cole shooting). Everybody just felt it was a bad shooting. I talked to dozens of cops that felt it was a horrible shooting and aren’t satisfied with the consequences to this day. Efforts to erase that embarrassment were limited to an overhaul of the inquest process, now shelved in light of lawsuits brought by police officers. But the problem goes deeper. Las Vegas police repeatedly place themselves in harm’s way, forcing confrontations where they have no choice but to shoot. Those shootings were legally justified, but just because a shooting is legal doesn’t mean it had to happen. The Review-Journal found several trends that illustrate risky behavior. A quarter of Las Vegas police shootings start with an officer seeing what sometimes amounts to a petty infraction and then chasing someone on foot, dubbed an “inherently dangerous” action by law enforcement experts because chases can escalate to potentially fatal confrontations. About 20 percent of the department’s shootings involved firing at cars, often by officers who needlessly put themselves in danger of being run down or violated department policy by shooting at a fleeing driver who presents no imminent danger to anyone. Eleven percent of people shot by Las Vegas police since 1990 have been unarmed, and those shootings have increased in recent years. About half of the 33 unarmed people shot by Las Vegas police were black. And in an urban area where blacks make up less than 10 percent of the population, they represent 32 percent of shooting subjects. While officer-involved shootings can and do happen anywhere in the Las Vegas Valley, distinct clusters can be seen in a few poor, transient neighborhoods: corridors along East Fremont Street and Boulder Highway, across from the Boulevard Mall, west of the Stratosphere and high-density areas near Nellis Air Force Base. Fatal shootings in Clark County tend to make headlines, but those are only about a third of all police shootings. The details on most incidents are buried in department files and largely go unnoticed by the public. The Review-Journal obtained summaries of hundreds of investigative reports, an unprecedented release of records by Southern Nevada police departments. Police agencies in other areas, notably the New York Police Department, have fought such disclosures. The Las Vegas Valley police departments didn’t fight the disclosure, though the Metropolitan Police Department charged the newspaper $11,000 in search and redaction costs. 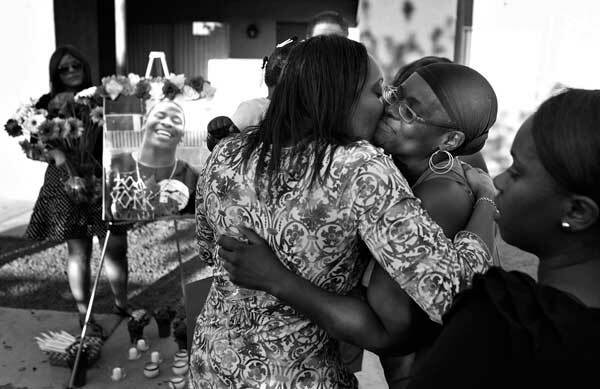 The reports, now available through the newspaper’s online database, recount great acts of heroism in harrowing encounters with armed suspects, such as a 1992 incident during the Rodney King riots when a convoy of Las Vegas police trying to rescue a frightened family came under sustained fire from an angry mob near Martin Luther King and Lake Mead boulevards. Two officers returned fire. No injuries were reported. But some reports reveal deception, troubling misconduct, and dangerous mistakes that only by dumb luck didn’t get someone killed. An incident involving one of the roughly 160 officers of the Clark County School District Police provides a case in point. Tetonis didn’t report the shots to dispatchers or to his supervisor. Nor did he mention it to Las Vegas police officers who got involved after they found one of the boys and brought him back to the school. Both youths later told investigators that Tetonis never identified himself as a cop and that they heard as many as four shots. Neither boy was arrested, and the incident likely would have gone unknown. But hours later, after Tetonis was off duty and at home, his supervisor learned about it and asked Las Vegas police to investigate. Because of the time lag, investigators were never able to deter­mine how many shots were fired or where they hit. According to police reports, Tetonis admitted that he tried to cover up the incident because he was afraid of losing his job. The incident wasn’t made public, and the school district won’t say what, if any, discipline Tetonis received. It will confirm he is still a school cop. Records also show a wide disparity in the way officer-involved shootings are handled. Most Las Vegas Valley police departments investigate their own shootings. Homicide detectives, considered the best investigators, are typically called in, regardless of injuries. Even so, quality varies. In 2005 a Las Vegas police officer shot and wounded a troubled 16-year-old boy who had a knife. Officers had surrounded the teen in a west valley apartment complex when officer Warren Rivas-Guevara arrived, perceived a threat and fired once. Officer Marc Hinrichs, who saw the incident, later confided to a detective that the situation was under control and he didn’t believe the boy needed to be shot — a candid admission rarely recorded in police paperwork. Hinrichs didn’t repeat his assessment when he gave a formal statement about the shooting, but the detective wrote it into the report, anyway. By comparison, reports on the shooting of a knife-wielding vagrant in 2002 gloss over witness accounts that could have caused trouble for an officer. The incident began when Las Vegas officer Marc Prager detained the vagrant for jaywalking at 6th and Fremont streets. After he was searched, the man became belligerent, grabbed a knife from the hood of a patrol car and attacked the officer. Officer Nicholas Farese, who had just arrived at the scene, shot and wounded him. Witnesses confirmed the officer’s account of the incident, but the investigating detective never addressed a key detail in his report: Why was there a knife on the hood of the patrol car where the man could reach it? Officers commonly put items taken from pockets of people they search on their car hood, but doing that with a weapon is inherently dangerous. The Las Vegas police Use of Force Review Board cleared all officers in both shootings of any wrongdoing. The newspaper also examined the impact of shootings on police officers. Studies have shown that some experience memory loss, remorse, spikes in blood pressure and other ill effects during and after a shooting. Often, effects surface years later. Zachary Huffine had been a Las Vegas cop for about a year when he and another officer shot and killed John Charles O’Banion in February 2000. O’Banion, like Huffine, was just 23. Before the incident near Torrey Pines Drive and U.S. Highway 95, O’Banion, a felon, had led police on car and foot chases before trying to fire a handgun at them. Huffine had no doubt he did the right thing when he shot O’Banion seven times from the rooftop of a house. A coroner’s inquest jury ruled his actions were justified. But Huffine, a graduate of Laughlin High School who always dreamed of becoming a police officer, struggled with feelings of guilt. Nothing in his experience or training prepared him for the aftermath of a deadly force situation. A few days after the shooting, he told his mother, Francie, he planned to go to confession at a Catholic church. Soon after Huffine returned to duty he got into trouble with his superiors for fraternizing with a suspected drug dealer at a casino. The incident prompted Huffine to resign from the department and join the U.S. Army, where he served two tours in Iraq. Huffine was one of several officers interviewed by the Review-Journal whose career and life were affected by a shooting. The news­paper also spoke with many families of people who were killed by police. Each mourned the death in his or her own way, but all were united in the loss of a loved one. Other big-city departments and communities have discovered that better policies, accountability, oversight and transparency can keep officers safer, inspire public confidence and reduce shootings. Denver cut shootings by a quarter since substantial reforms followed a controversial shooting that shook up that city. Police in Portland, Ore., in 2003 asked outside experts to tell them how they could improve. They’ve since cut shootings in half. It’s that cultural change that some former Las Vegas police officers and administrators want to see. Last year’s shootings prompted a public outcry that rippled through the department. Officers, on advice of their union lawyers, stopped cooperating with homicide detectives. The coroner’s inquests, a flawed process that nonetheless gave some transparency to deaths under color of authority, were shelved because the unions challenged the constitutionality of allowing officers to be questioned in an adversarial way. Clark County Sheriff Doug Gillespie created two new teams to investigate shootings and recently said he is reaching out to community groups for ideas on how to fix the inquest system and repair his department’s internal review procedures. He’s asked a team of researchers from California to study racial sensitivity issues, an effort now midway through a two-year process. The sheriff, now in his second four-year term, said he wants to improve transparency, inspire public confidence, and create a system where his department can learn from its shootings. But when it comes to shootings, Gillespie said his officers are largely limited by the actions of suspects. When asked about numerous mistakes and poor decisions by his officers during the raid on Cole’s apartment, Gillespie placed most of the blame on the unarmed dead man. Alan Maimon is a Review-Journal special correspondent.